Click on the puffle icon on your search bar to make your puffle do tricks! Clicking on the money bag will make your puffle dig and unlock your penguin some special items or a couple of coins! 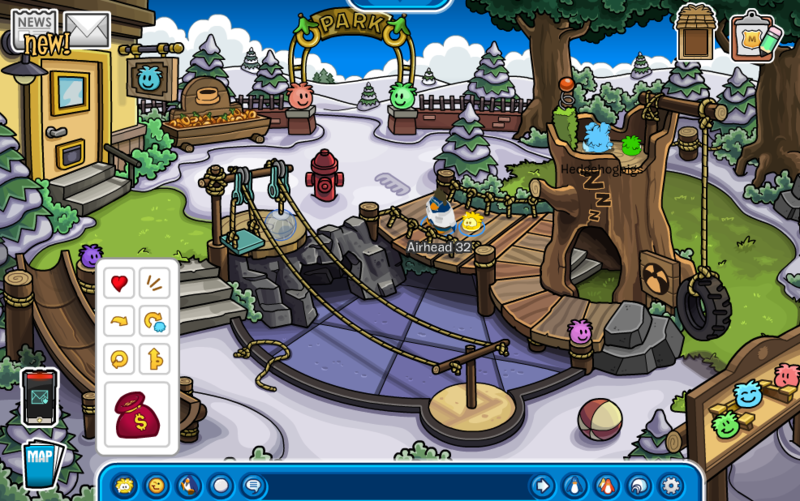 I really like the Puffle Park! It's an amazing room for puffles! Do you like the Puffle Park? Leave your comments below!